Hellblade: Senua's Sacrifice Release Date August 2017 | Nerd Much? Ninja Theory has announced today a release date for their game Hellblade: Senua’s Sacrifice, August 8, 2017 on the PS4 and PC. You can pre-order the game for $29.99 and help Ninja Theory make this game a success on Steam and the PlayStation Store. The game, for all it looks more detailed than Horizon: Zero Dawn (I didn’t know it was possible either), is made by a team of 20 people. Due to this tiny team and releasing Hellblade digital-only, the studio is able to slice the price of most AAA games in half. That said, Hellblade: Senua’s Sacrifice will be a short game. Ninja Theory wants to bring back the concept of mid-sized games. Something that used to be a thing due to the limits of technology and what companies believed were the demands of gamers. However, we have seen the release of Resident Evil 7, which can be considered quite mid-sized. The intensity of the experience and well-rounded narrative (more or less) is what keeps this game so popular and worth it. Or those that enjoy the indie front, Firewatch was quite a short game as well. All supported by the amazing narrative, of course. So perhaps the idea isn’t quite so dead as Ninja Theory believes. Indeed, maybe the larger publishers can take cues from the indie scene in this respect and understand that gamers do not necessarily believe that bigger is better. Well-written, visually stimulating, and dynamic gameplay is what sells a game. Not its length or square miles of open world. Once again, Hellblade: Senua’s Sacrifice will be out August 8, 2017 on the PS4 and PC. Pre-order it now for $29.99 and help support the studio to continue their work and make Hellblade: Senua’s Sacrifice a success. 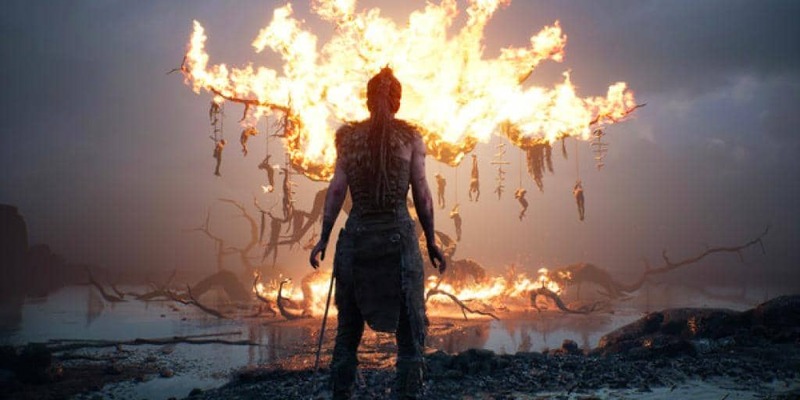 Do you think Hellblade: Senua’s Sacrifice will be worth it despite being a mid-size game? Let us know in the comment below, and be sure to check out our 2017 Summer Video Games Preview for more releasing soon.